On December 22, 2017, the most sweeping tax legislation since the Tax Reform Act of 1986 was signed into law. The Tax Cuts and Jobs Act (TCJA) makes small reductions to income tax rates for most individual tax brackets. This includes reducing the top rate from 39.6% to 37%, and substantially reduces the income tax rate for corporations. It also provides a large new tax deduction for owners of pass-through entities and significantly increases exemptions for the individual alternative minimum tax (AMT) and the estate tax. strategies will make sense for you this year, such as the best way to time income and expenses. This guide provides an overview of the most consequential changes under the TCJA and other key tax provisions you need to be aware of. 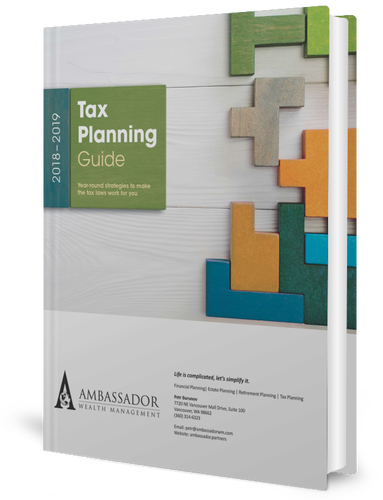 It offers a variety of strategies to help higher-income taxpayers minimize their taxes in the new tax environment. It will be important to work closely with your tax advisor this year. He or she can help you identify which changes affect you and the best strategies for maximizing the new tax law’s benefits and minimizing any negative tax ramifications. Plus, more tax legislation could be signed into law this year. Your tax advisor can keep you apprised of the latest information.